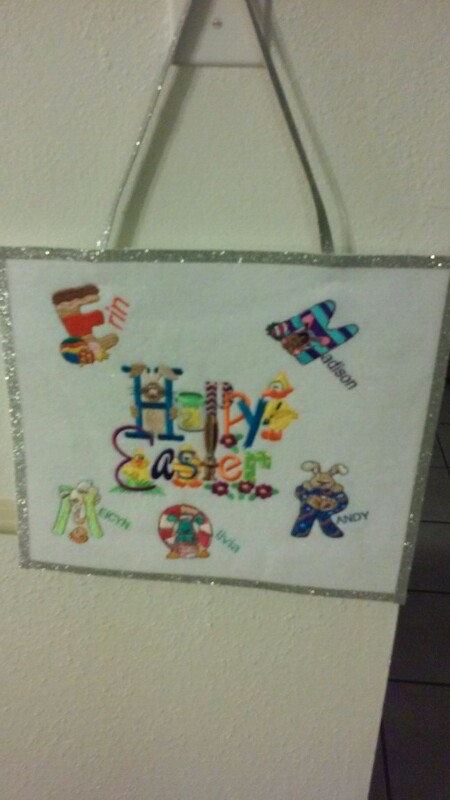 I know its late for showing Easter projects, but I've been having problems uploading. 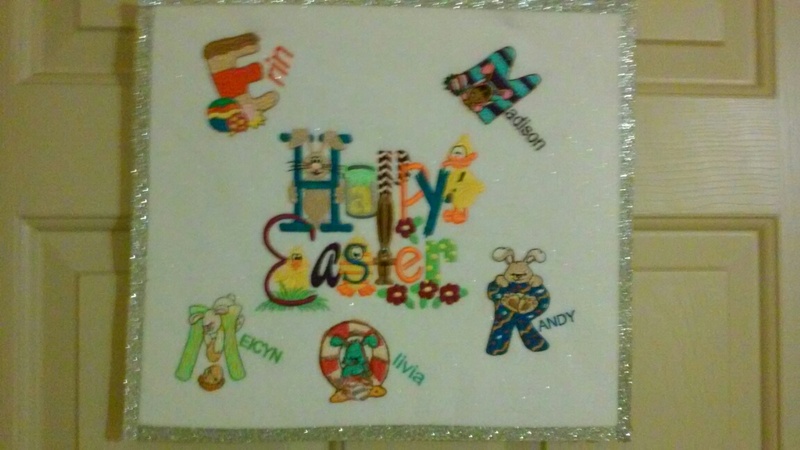 This is an Easter wall hanging for my daughter and her family with their names spelled using Easter font, The Happy Easter is from Embroidery Library. They all loved it and is still displayed in their home. 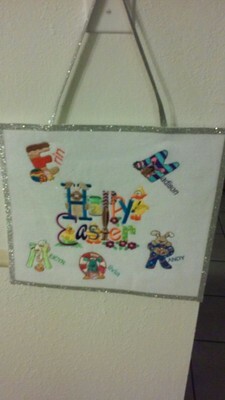 Love it...and the sparkly border too...what did you use for it? It is sparkly ribbon trim from Hobby Lobby. So very cute! Love the Fonts.